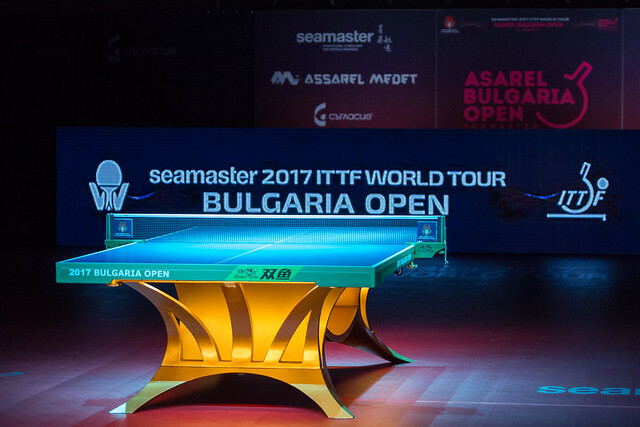 Last year in Panagyurishte Tomas Konecny put his name down in history by securing the Czech Republic's first Men's Singles gold medal on the ITTF World Tour, now one year on the Czech star returns to the very same city aiming to defend his title at the Seamaster 2017 ITTF World Tour Asarel Bulgaria Open which takes place from Thursday 17th to Sunday 20th August. Tomas Konecny was seeded third for his title winning tournament last year, but enters the 2017 event in ninth position in the Men’s Singles seeding list. Czech table tennis fans will hoping to see Tomas Konecny and fellow countryman Dimitrij Prokopcov, who is also seeded for the competition, put in strong displays in Panagyurishte, but it could be a tough ask of the duo to reach the latter stages of the Men’s Singles category considering some of the other entries heading to the tournament. Sitting at the top of the seeding list is Dimitrij Ovtcharov, who is aiming to claiming his eighth Men’s Singles title on the ITTF World Tour. The German representative travels to Bulgaria with confidence on his side following a terrific gold medal winning campaign at the 2017 China Open in Chengdu, and will surely be the favourite to succeed in Panagyurishte. Paul Drinkhall was hailed for his superb performance at the recent 2017 Australian Open, achieving a top four finish in the Men’s Singles competition on the Gold Coast and has been named as the number six seed for the upcoming event in Bulgaria while Nigerian star Quadri Aruna enters the list in third place. Japan leads the seeding list in the Men’s Doubles contest with Jin Ueda and Maharu Yoshimura looking to build upon positive ITTF World Tour outings in China and Australia. However, second seeds Alexey Liventsov and Mikhail Paikov will be hoping to throw a spanner in the works as the Russian partnerships prepares to defend its Men’s Doubles crown in Bulgaria. Belgium, India and Hungary have representatives in the seeding list while home fans will be cheering for Teodor Alexandrov and Denislav Kodjabashev, with the Bulgarian pairing also being handed a seeding position.